“The Facebook Like algorithm is Facebook’s way of dictating if content is of any value to users. The more likes/shares/comments it gets, the more exposure to certain people it, and the profile it belongs to, will get both short term and long term. These are probably some of the reasons why, in the B2B world, Likes do not hold much value. In fact, long sales cycle B2Bs that provide high dollar value products/services hardly derive any tangible benefits from Likes. To them, Likes are at best an endorsement of their B2B brand. These B2Bs are far better served by Comments. 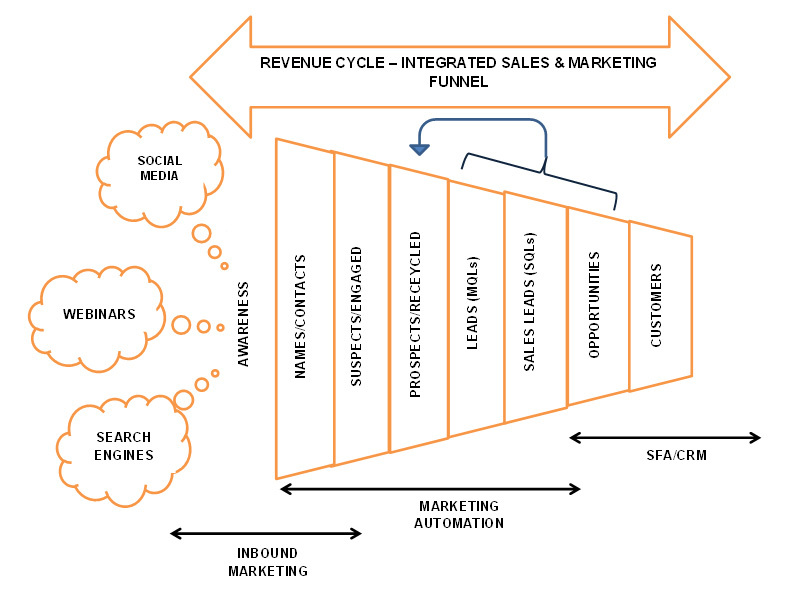 And, they have good reason to be – because Comments in the B2B world usually mark the start of a critical awareness phase of the revenue cycle that is associated with their integrated sales and marketing funnel (see Figure 1 below). For more on this revenue cycle read The Marketing Id’s post titled “Revenue Performance Management: Viva La Drucker!” If the awareness phase is handled well and supplemented through use of a Marketing Automation Platform (MAP), a Comment’s owner could be authentically entered into the B2B’s sales funnel. Likes come at a variable cost; Comments are a probable revenue source! While it might appear that The Marketing Id is not a fan of Likes, the truth is in the B2B domain even an unfavorable Comment is likely to provide more business value than a thousand Likes can? So don’t hesitate to comment on this post!